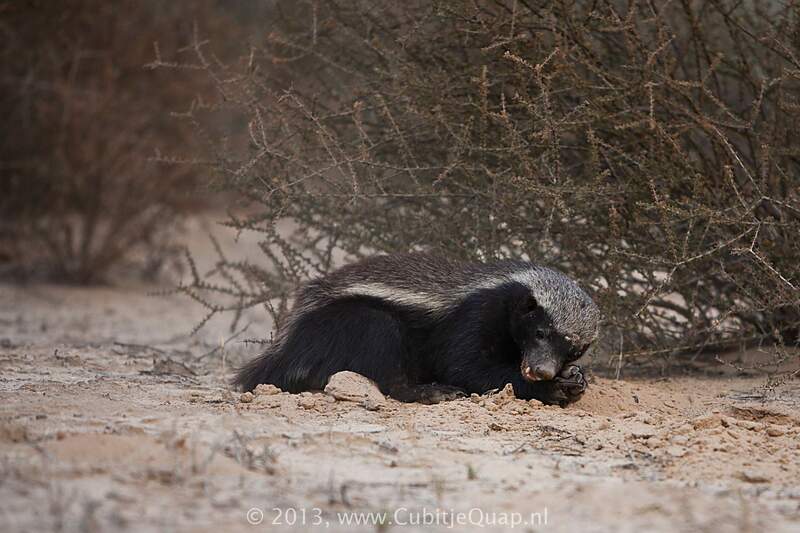 Next to the wolverine, the honey badger has the least specialised diet of the weasel family. 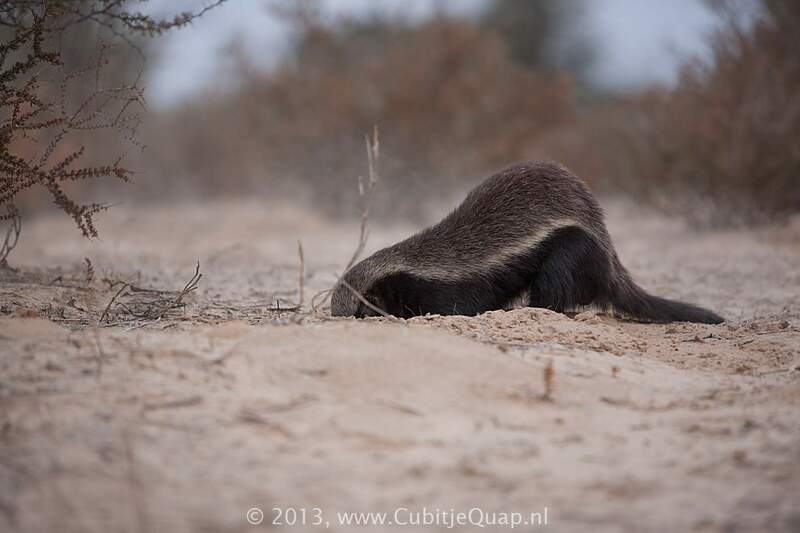 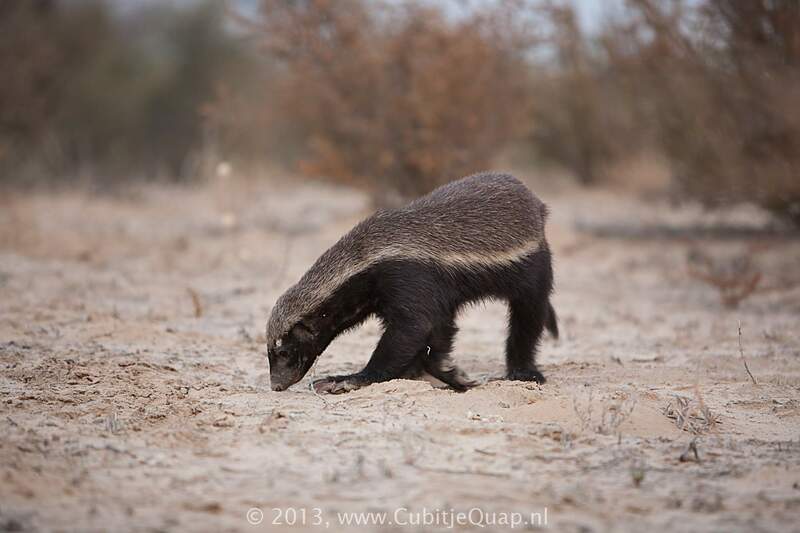 In undeveloped areas, honey badgers may hunt at any time of the day, though they become nocturnal in places with high human populations. 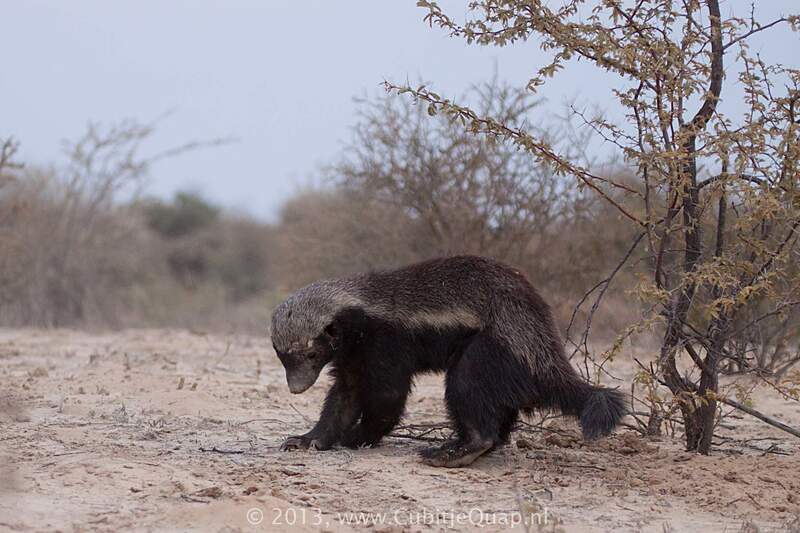 When hunting, they trot with their foretoes turned in. 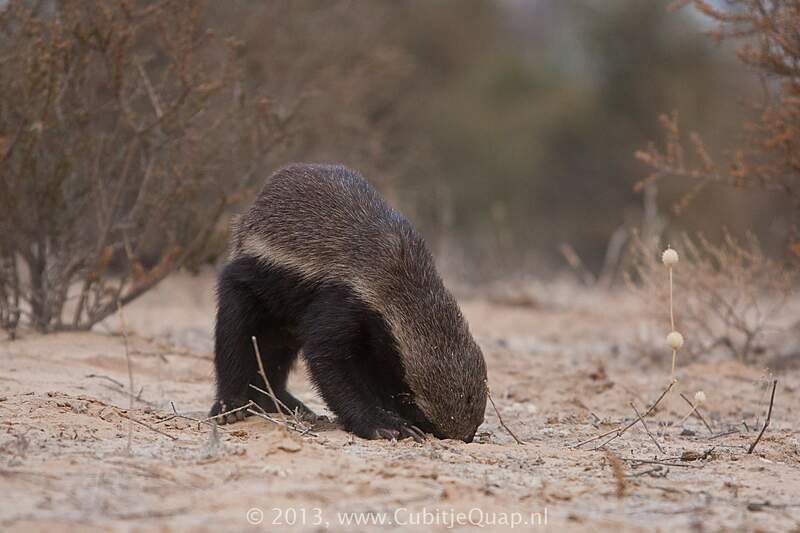 Honey badgers favor bee honey, and will often search for beehives to get it, which earns them their name. 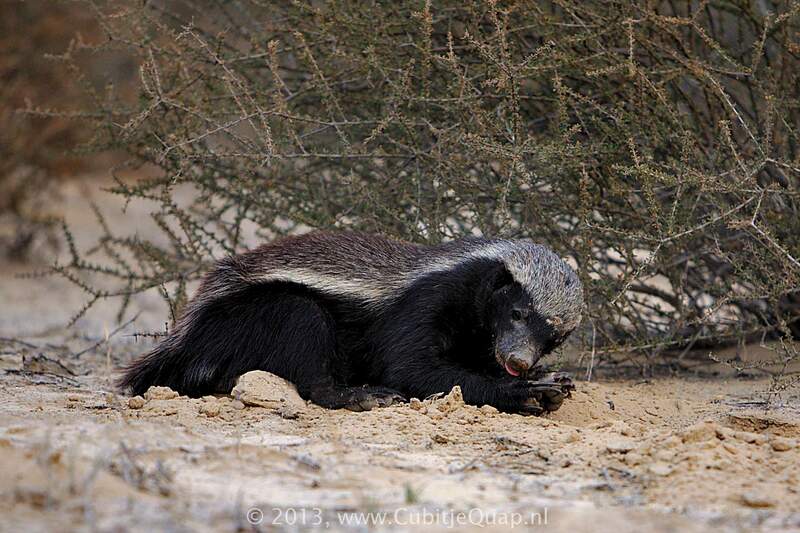 They are also carnivorous and will eat insects, frogs, tortoises, rodents, turtles, lizards, snakes, eggs, and birds. 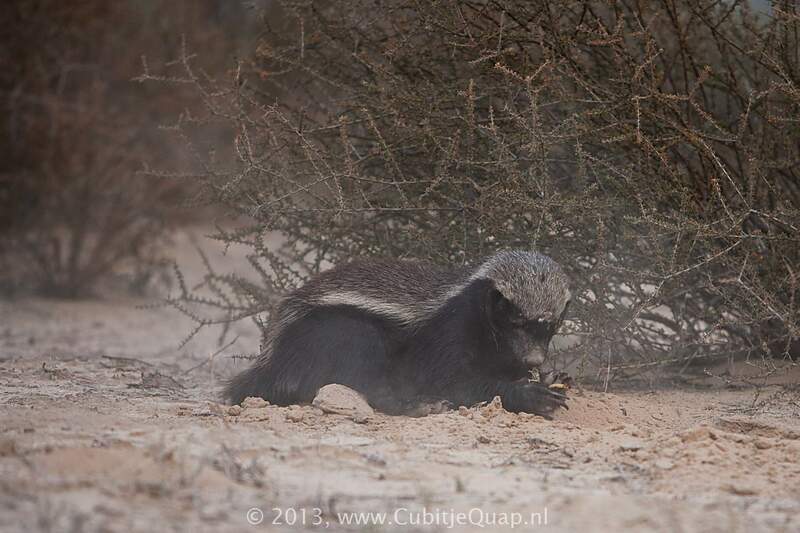 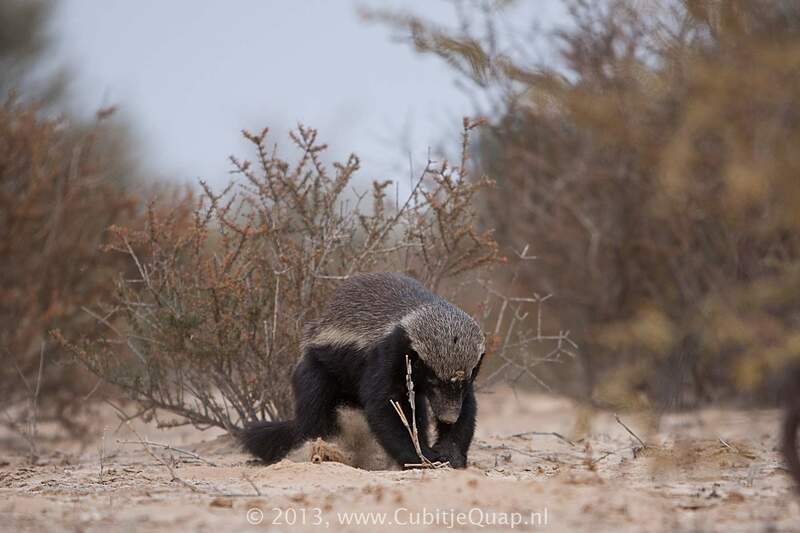 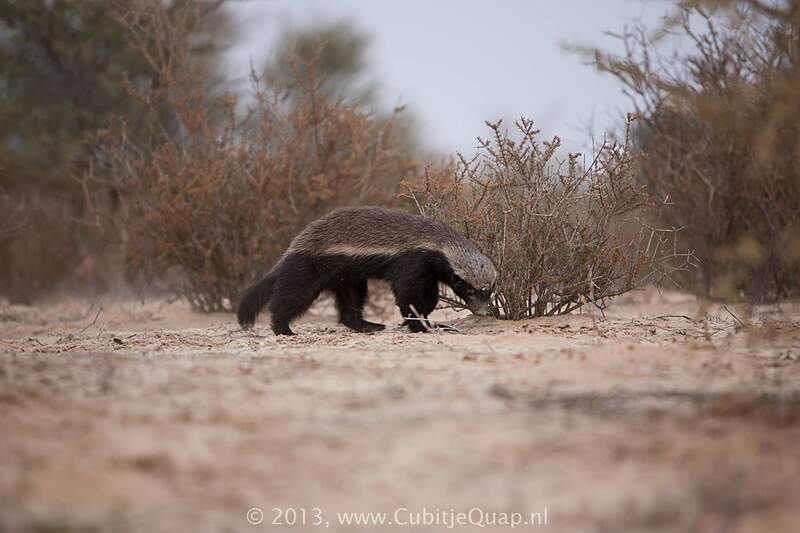 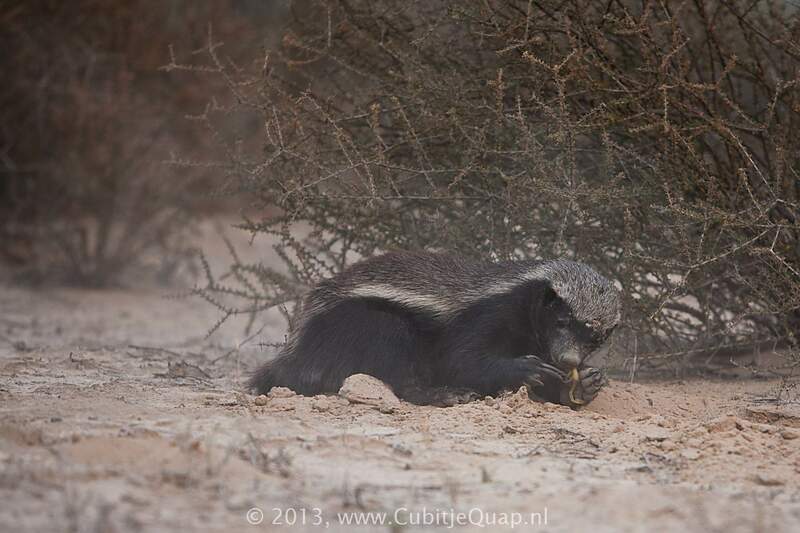 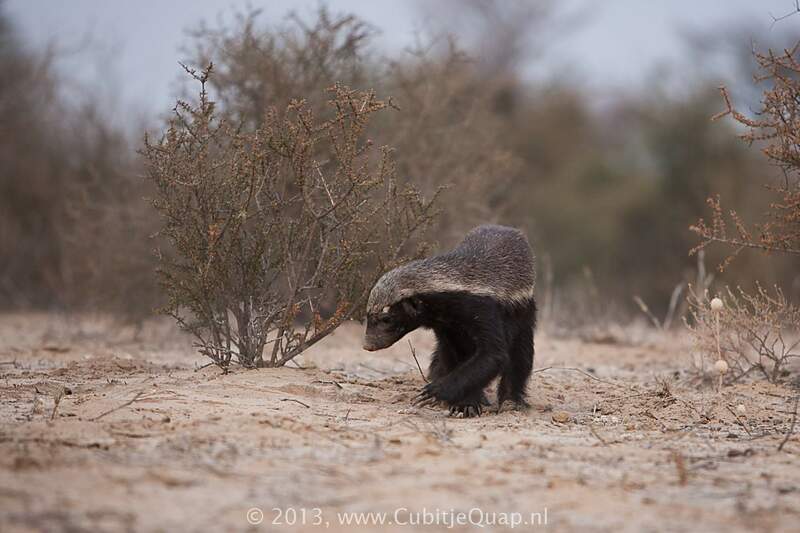 Honey badgers have even been known to chase away young lions and take their kills. 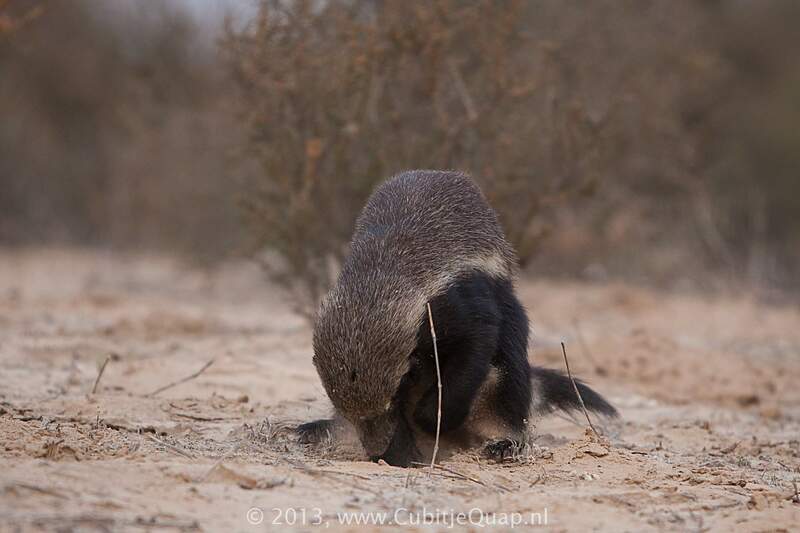 They will eat fruit and vegetables such as berries, roots and bulbs. Despite popular belief, there is no evidence that honeyguides (a bird species that eats bee larvae) guide the honey badger. may be dug in a single foraging period and badgers may cover distances that exceed 40 kilometers in a 24 hour period. Honey badgers are accomplished climbers and can easily climb up into the uppermost branches of trees to raid bird nests or bee hives. 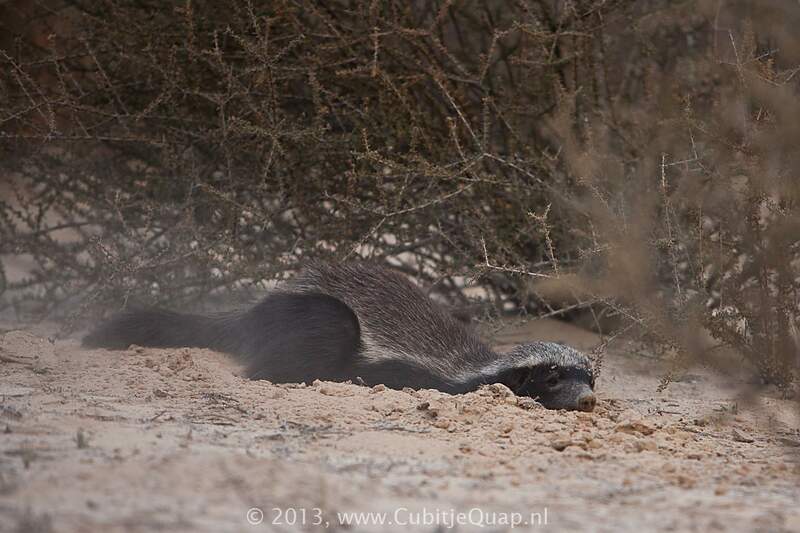 In the Kalahari they have been seen raiding various raptor nests, including the Pale Chanting Goshawk, which is frequently seen in association with badgers. They devour all parts of their prey, including skin, hair, feathers, flesh and bones, holding their food down with their forepaws.